Welcome back to January 9th of What I Ate! For breakfast I made the PB Oats from my friend Ilene’s new cookbook The Colorful Kitchen. Instead of PB, I used Sunbutter! To drink I had the Sencha green tea by Pique. 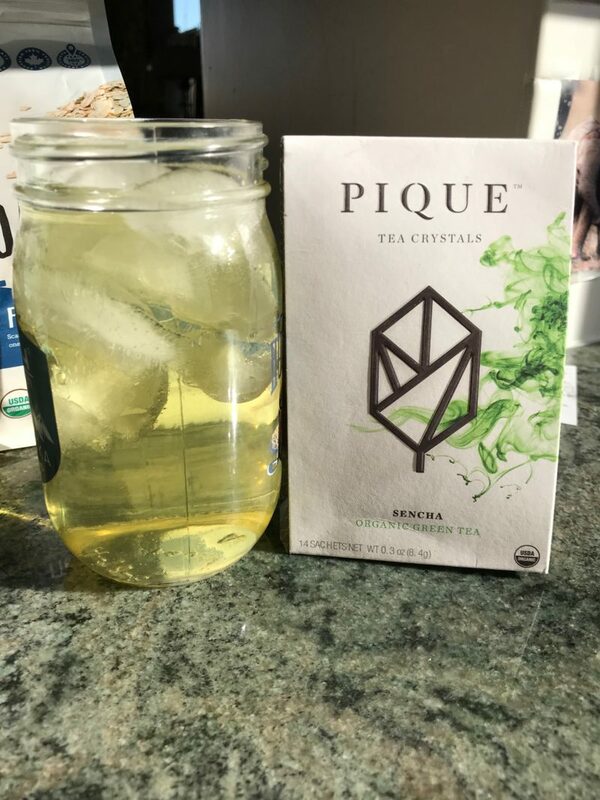 Pique are tea crystals meaning that there is no tea bags required! You just add the tea crystals to your water and mix with a spoon. You instantly get the most flavorful cup of tea! I normally have it warm but this morning I was feeling some iced tea. If you want to try Pique, you can get 10% off your order using the code JANE10 – Click here. – I couldn’t recommend this tea more. 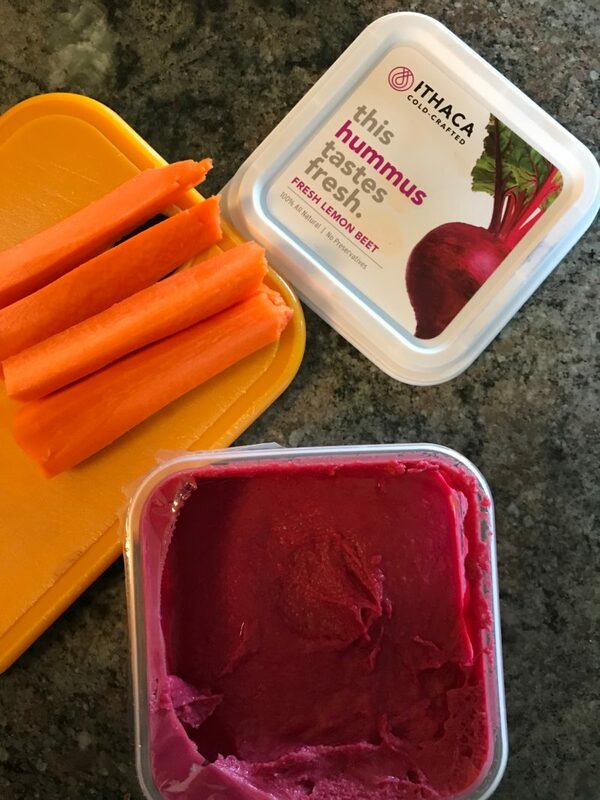 For a snack, I had a carrot & some of my favorite hummus! There was a lot more carrot for forgot to take a photo until I was almost done! I had a late lunch of rice crackers & avocado. I didn’t take a photo because I simply forgot and had to pay attention to my dog who came back from her surgery today. She is doing amazing & I’m so glad she’s back! I coated the potatoes in mustard, salt, pepper, & onion powder. For the other veggies I just did salt, pepper & onion powder. 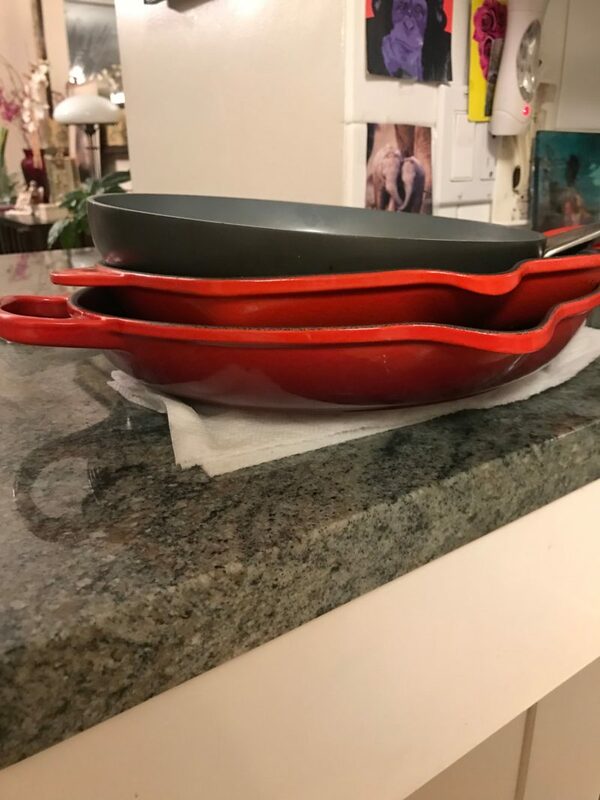 I sprayed them all with some of the chosen foods olive oil spray and baked them for about 40 minutes at 400 degrees Fahrenheit flipping halfway! To make to tofu extra crispy, I used the Wat U See Chickpea crumbs. They’re a great alternative to panko but are much healthier. I made a dredge station of a little flour & water, and the chickpea crumbs. I coated the tofu in the flour first then the chickpea crumbs. After 20 minutes of my veggies cooking, I took them out and added the tofu (as well as flipping the veggies) – I let that cook an additional 20 minutes flipping the tofu halfway. 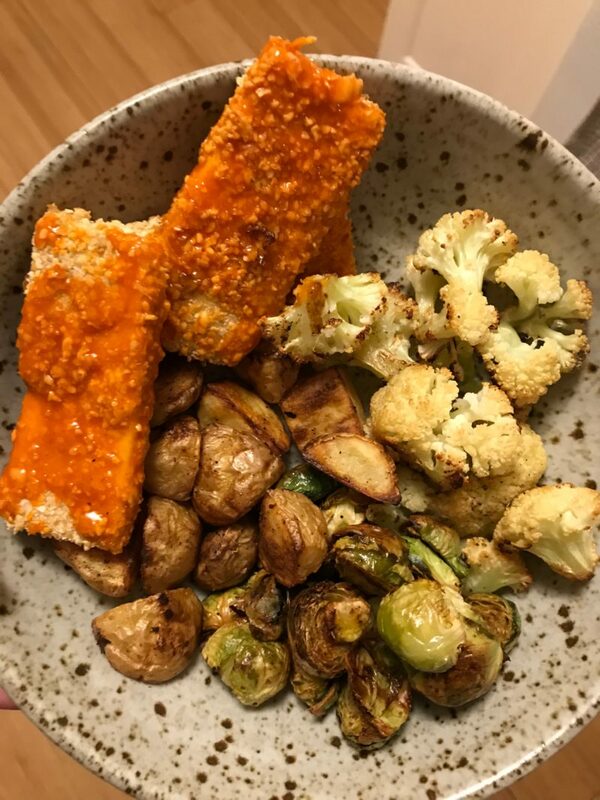 After the tofu was done I coated it in some buffalo sauce! It was so good!